Iranian regime’s supreme leader sending warning to regime’s forces, to stay alert against enemy’s plots. A speech that clearly shows his fear of regime’s downfall. The state-run Tasnim news agency recently broadcast remarks by regime Supreme Leader Ali Khamenei in which he expressed his fear of the protest movement that has gained popularity in Iran over the past year. 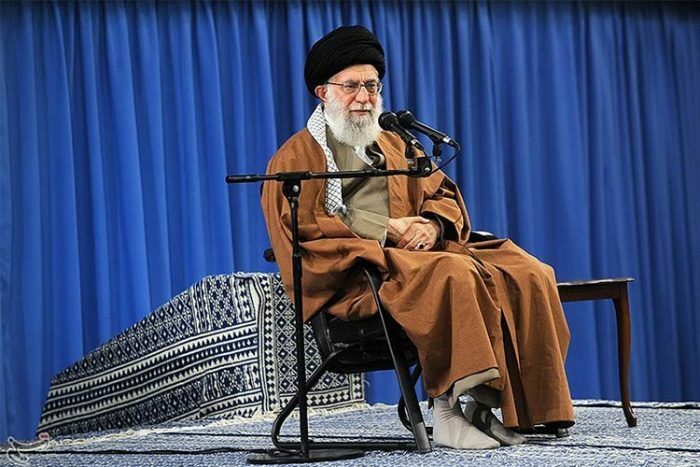 In his remarks, Khamenei warned supporters of the regime about “the enemy’s schemes” for the upcoming year, which suggests that he doubts that the regime will be able to suppress the popular uprising that began in December of 2017 and continues almost one year later in the form of continuous strikes and protests across the country. Khamenei attempted to blame the United States for the popular protests in Iran, saying that the U.S. planned to “create dispute and civil war with the help of sanctions and counter security measures” and to “drag people on the streets” to protest in Iran. While meeting with the families of “Shrine Defenders” who were killed fighting in Syria and Iraq, the mullahs’ Supreme Leader said that “contrary to the irrelevant analysis of some people who were senseless and attached to the West,” the Iranian regime was still powerful. 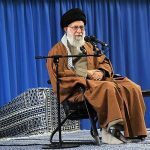 Khamenei disputed an American official’s claim that the Islamic Republic would be gone before its 40th anniversary, saying that the regime would “celebrate the occasion grander than previous years,” Tasnim reported. Khamenei’s fear showed through his bravado when he made his predictions for 2019. “Though the enemy’s plans have been exposed, everyone must maintain their vigilance because the United States is a sinister and malicious enemy and may have intentions to deceive so that it could create tumult in 2018 but then, for example, have schemes for 2019,” he said. The Supreme Leader issued a specific warning to the youth of Iran, saying that his “advice to the Iranian people, especially the youth and various political groups was to be careful not to prepare the field for the enemy.” Iran’s young people have played a key role in the protest movement over the past year. Mrs. Maryam Rajavi, President-elect of the Iranian Resistance, has repeatedly hailed the youth of Iran for their efforts in participating in protests and has called upon them to join with the MEK in standing with the Iranian people in opposing the regime. The regime sees the youth as a threat to their power.